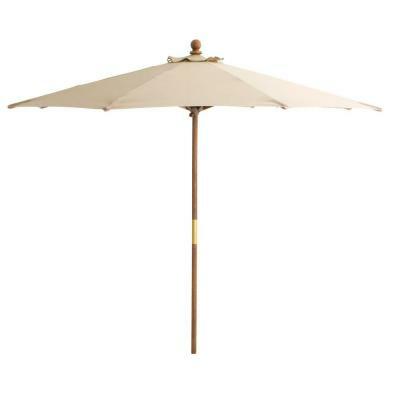 Thomasville Palmetto Estates 10 ft. Patio Umbrella in Beige PPPA, Avi Depot=Much More Value For Your Money! Made of 100% FSC certified Brazilian eucalyptus wood and finished in a rich mahogany color. FSC certified Brazilian eucalyptus is a fast-growing and dense wood with similar properties to much more expensive woods like teak, among others.